A large toy manufacturer located at the northernmost point of the planet must produce in excess of 2 billion toys* each year. To meet this incredible demand, it is critical to ensure operations, facility management, and worker safety are at optimum efficiency. To top it off, they must distribute all the toys in just one night due to peak seasonal demand! This can only be done with a combination of world-class operations technology, IoT, artificial intelligence, and a little bit of….magic? We had the opportunity to sit down with the jolly team that runs this festive facility and discuss what makes it tick. Over an afternoon snack of milk and cookies, the team filled us in. Due to the sensitivity of operations, we were also asked to refrain from sharing the name of the organization or the employees. For this reason, we will simply use vivid descriptions of those involved and focus on the technology used. The Chief Happiness Officer (CHO) inspecting toys in production. Demand can fluctuate pretty significantly for this toy manufacturer depending on the behavior of the 2 billion children (‘assets’) served. Luckily, the Chief Happiness Officer began implementation of an asset health score solution in 2017 that has enabled accurate tracking of vital behavior scores. 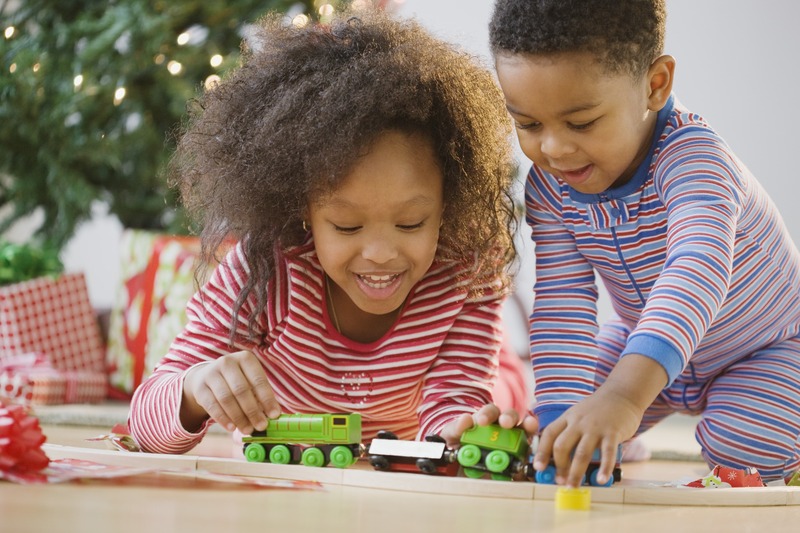 This allows the workers, also known as the “Exceptional Labor Force” (ELF), to accurately determine which children are classified as “Naughty, Nice, or At Risk”. In the tool, each child is monitored for factors such as temperament, good deeds, weather conditions in their area, historical behavior issues, the SHARE (Social Happiness and Rejoicing Everyday) quota, and parental observations. Many of these factors are captured via the Internet of Things (IoT). Sensors are placed strategically throughout the home (i.e. the Star on the tree, stockings, and the yule logs) to accurately capture the required inputs. Each aspect of the score is weighted to determine how critical it is in determining overall behavior. Scores are updated in real-time and provides the ELF with an accurate understanding of how many toys will be needed to meet demand. Parents also have the ability to log into the system on any mobile device to see if their child is at critical risk of being on the naughty list and what problem areas to address. In addition to keeping the world’s most important assets healthy, the production equipment to produce this massive volume of toys must be monitored, maintained, and replaced to keep up with demand. Since the equipment takes such a beating year-round, the Wrench & Hammer League (WaH-WaHs) – an elite squad of the ELF – utilize the world’s leading enterprise asset management system for asset tracking and work order execution. They also utilize asset health scoring. But rather than monitoring temperament, they monitor temperature. Anything running hotter than a nice warm glass of hot cocoa requires immediate attention. Unlike your average toy manufacturer, some of the workers of this facility have been employed here for hundreds of years! It’s quite remarkable when you think about it and far surpasses the industry average of 31 years. However, the unfortunate reality is that many are ready for retirement. Hundreds of years is a long time to be part of any craft guild, even one you are passionate about. 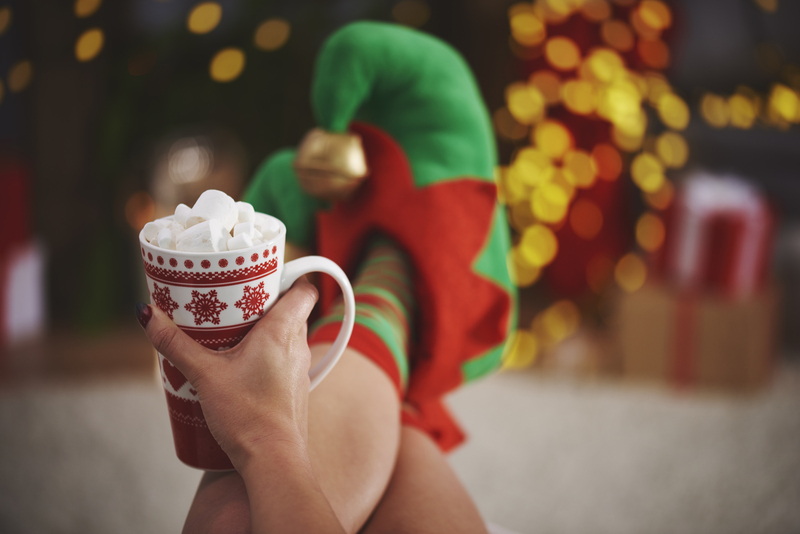 Many of the ELF are ready to spend more time with their families, enjoying hot cocoa, singing, and eating candy canes in a tropical destination. The Chief Happiness Officer and his wife, the Chief Operations Officer, have been working on solutions to this problem. At the beginning of this year, they implemented an AI-powered maintenance assistant. This allows any ELF to operate like the best ELF. As new workers join the force, all of the knowledge of these highly experienced ELF’s is captured and available whenever an issue arises. This includes anything from the Etch-a-Sketch machine breaking down to a tangle in the doll hair braider and even to a repair on the sole distribution vehicle. Since this plant relies on only one distribution vehicle, a sleek red sleigh, and eight flight-certified reindeer, it is absolutely critical that it is operating at its best. Using artificial intelligence (AI), even an inexperienced (less than 300 years on the job) ELF can accurately identify the right repair the first time. Ensuring each is optimized for space, energy usage, and maintenance, while keeping the financials in order, is a cumbersome task. For example, the typical day for a ELF involves a mix of strategy meetings, design presentations, toy output, and daily COOKIE (Cheerful Organization of Krampus Impeachment Echelon) meetings. 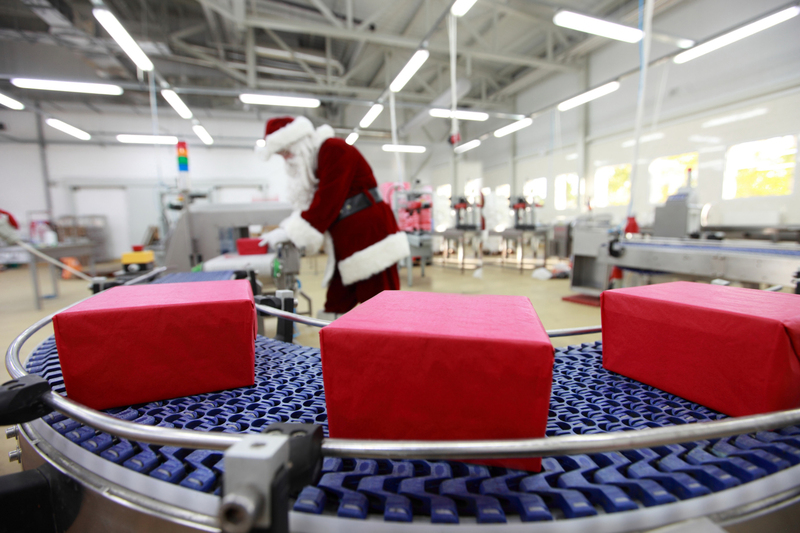 In 2016, the jolly old CHO noticed that toy demand was increasing and more space for assembly lines would be needed to enhance the scope of the facility. However, he had no real sense of how effectively his facilities were already being utilized. Did he need to lease a new building or was there enough unused space to make the addition? By implementing a facilities management solution, he was able to get a clear view of his space optimization. He noticed that the Candy Cane Lane conference rooms on each floor were in highest demand but the Snowball Bungalows – nap pods designed for those of short stature – were rarely utilized. He found that removing the bungalows would give him the square footage needed to expand his operations. The lease accounting team rejoiced! At the same time, energy costs were skyrocketing and they couldn’t figure out where the problems were stemming from – or even which buildings were the energy zappers. Using IBM IoT Building Insights, they were able to identify that Cocoa Cafe 3 and Toy Workshop 7 were using significantly more energy than any of the others – due to leaky windows and excessive singing. Prioritizing these maintenance activities – and redirecting the cheerful tunes – cut costs by 28%. They also invested in LED lights for the trees in Christmas Tree Corridor and cut costs by a glaring 14% annually! The magic of this operation really lies in the joy brought by the products crafted in the toy shop. To ensure the most important law is adhered to – “No Crying Children Left Behind” – toy quality is of utmost importance. There is nothing worse than giving a child on the Nice list a defective toy. All wise men (and women) know those are saved for the kids on the Naughty list. To ensure quality remains something to rejoice over, this facility utilizes production optimization solutions to ensure that even the most elfin of defects is identified quickly. This replaced the old, manual system of each ELF shaking the toys as they came off the line to see if any parts came flying off. This was commonly known as the “Test Shake” – a practice widely used by children on Christmas morning. By mimicking it in production, disappointments were kept to a minimum. However, it was very time-consuming. Using AI and analytics, issues causing defects were reduced by 34% this year and production yields increased by 17%. Sweet sugarplums! Just kidding. The gifts all came beautifully wrapped with bows. And not just any bows. These bows were set with RFID (Reindeer Fleet Information Delivery) tags. 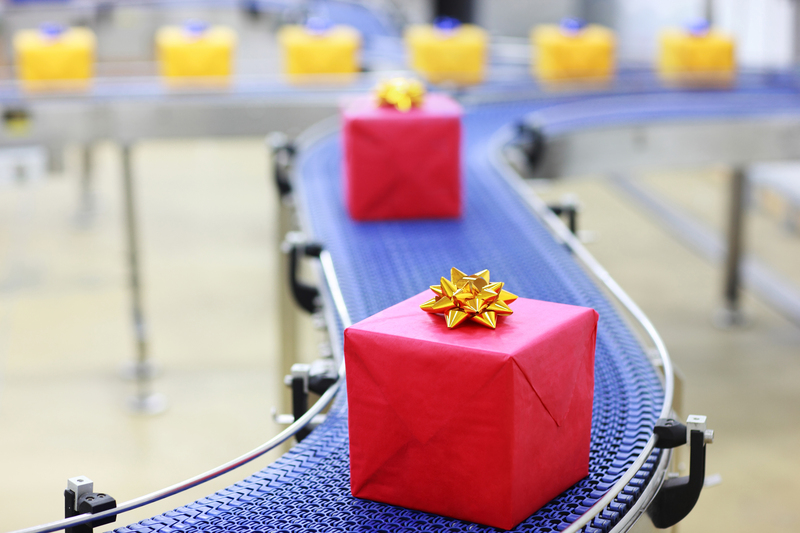 Why tracking devices on gifts? Put simply, there had been incidents in the last several years of the wrong gift going to the wrong child. A pretty upsetting situation, as I’m sure you can imagine. By tagging toys with sensors and centralizing data through the Red NOSE (Network Optimized Sensor Engine), the CHO’s team could track these assets and, if a problem arose, there were teams in the skies on standby to fix. Communication in the field is critical to successful distribution of this merry mission. Using a field force mobility solution, the CHO can view the map highlighting the work execution of the night. He can understand criticality of delivery, time constraints, and any special directions by household. He can make special notes after delivery for the future. For example, he can note which houses leave the best snacks. And which have angry dogs that he needs to bring extra treats for the following year. All of this is captured – improving accuracy, speed and agility of operations! As you can see, keeping this enterprise running at full speed requires constant innovation, digital transformation, dedicated employees, and….a little something extra. There is clearly something we can all learn from this operation nestled in the north. To get started understanding how to improve your operations with IoT and AI, learn more today.